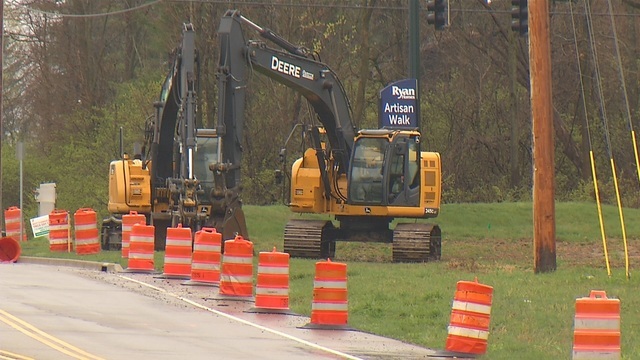 HUBER HEIGHTS, Ohio (WDTN) -- A road widening project in Huber Heights will begin Monday. Crews will begin work on Chambersburg Road, from Bellefontaine Road to the Artisan Walk subdivision. The eastbound lanes will be closed during the project, with traffic being rerouted onto Taylorsville Road. This is Phase III of the road widening project. Westbound lanes of Chambersburg Road will remain open. The eastbound lanes of Chambersburg Road will be closed for 3-4 months to complete the project.